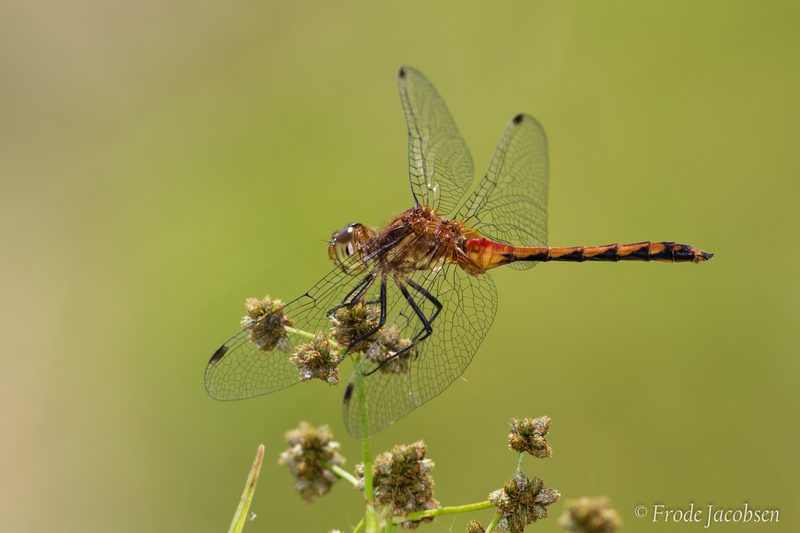 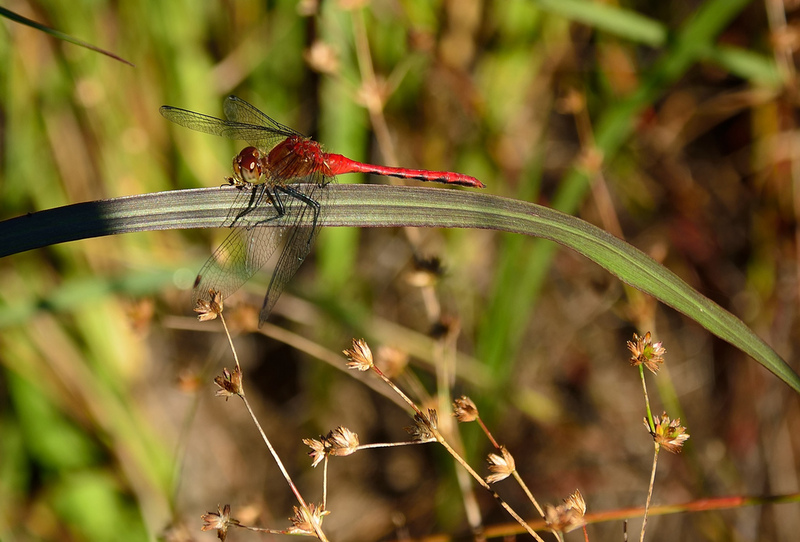 Ruby Meadowhawk (Sympetrum rubicundulum) is a member of a very difficult complex of similar meadowhawk species (with Cherry-faced Meadowhawk and White-faced Meadowhawk) showing black legs and with lateral black triangular abdominal markings. 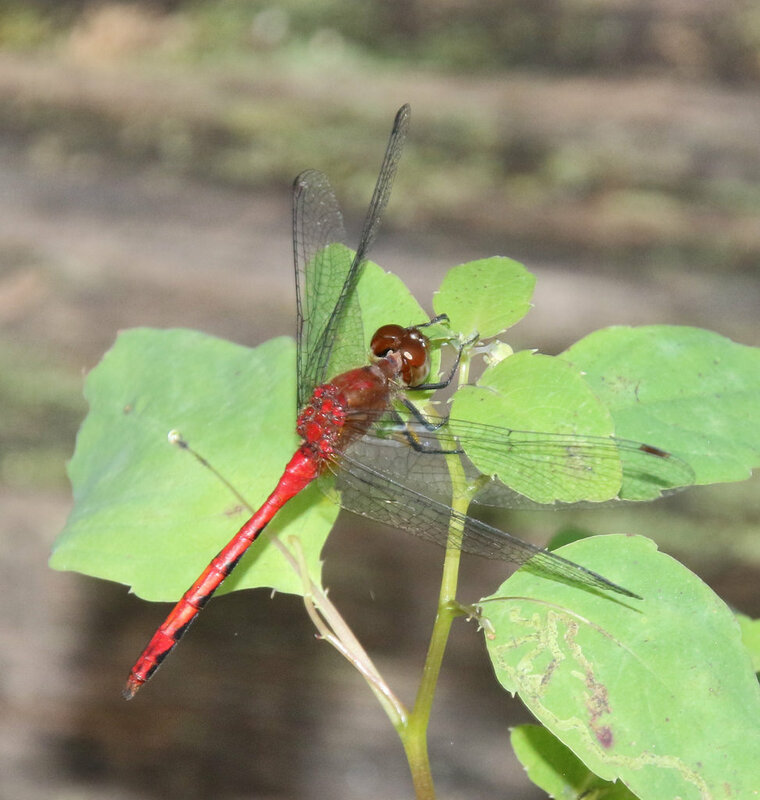 Mature males, and older females show a crimson color to the abdomen. 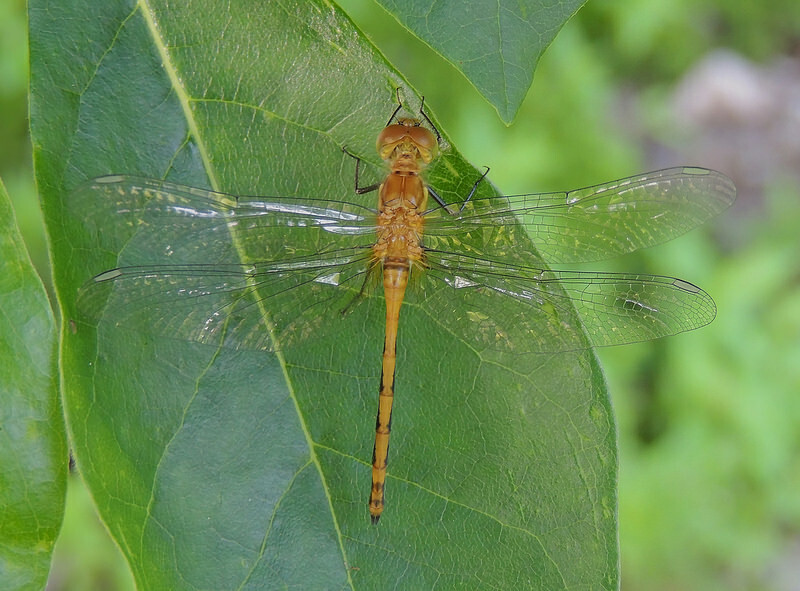 Hamule shape of the males, or subgenital plate shape on females, is one of the more reliable ways to distinguish the species. 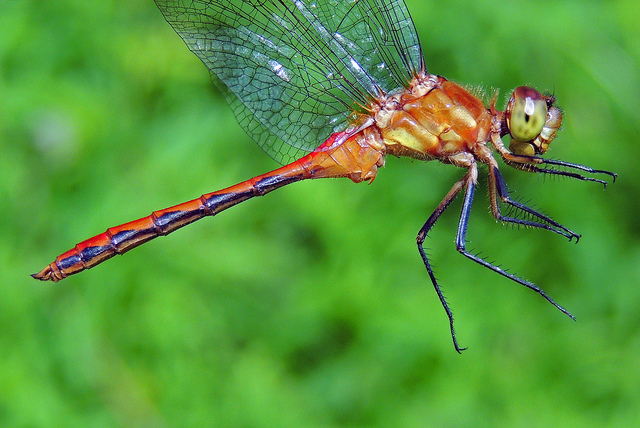 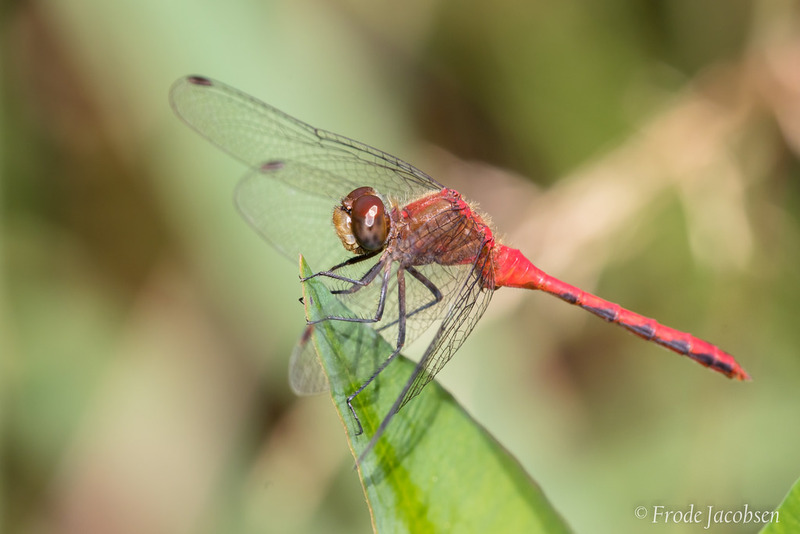 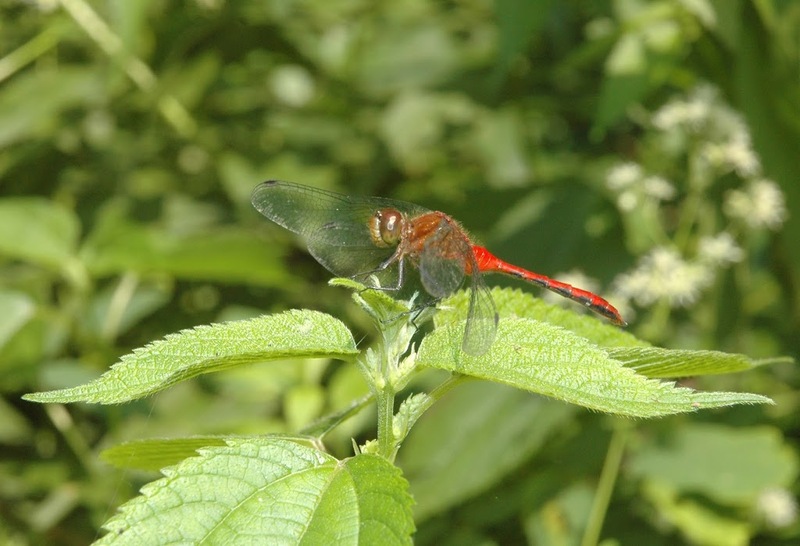 There is growing evidence that Ruby Meadowhawk hybridizes with White-faced and Cherry-faced Meadowhawks (including "Jane's") in portions of the east, and intermediates with ambiguous hamule shape are sometimes found. 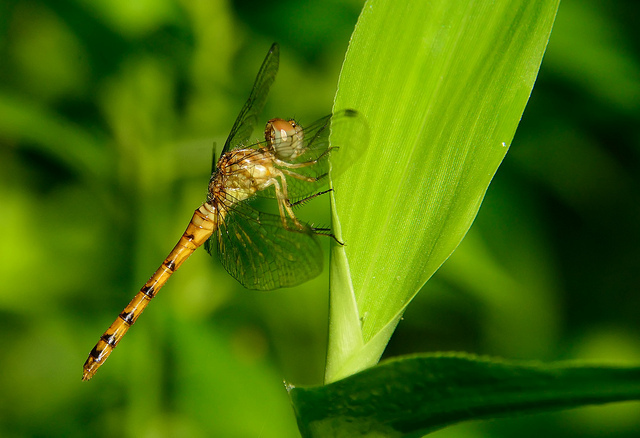 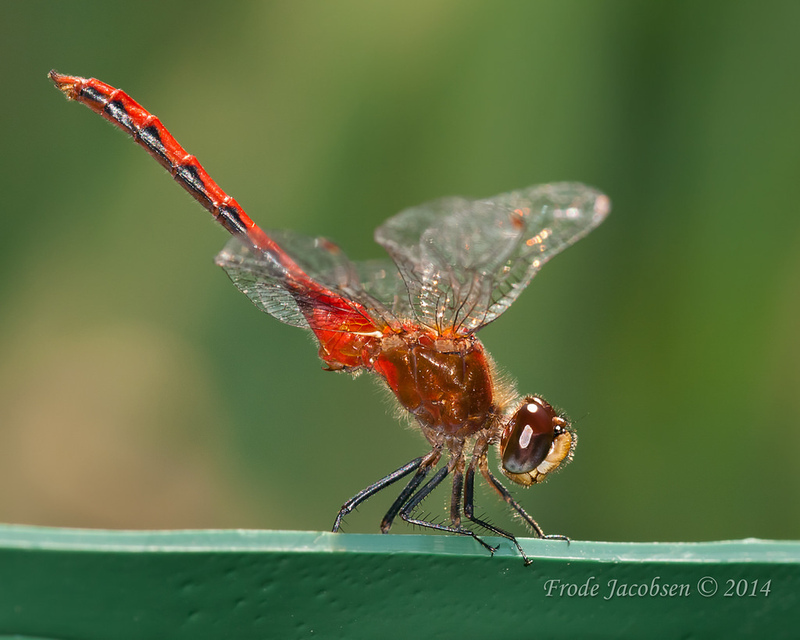 Northeastern populations with subtly different hamule shape and tan faces are called "Jane's Meadowhawk" (Sympetrum janae) by some odonatologists, but it is widely held these are an eastern form of internum, or represent character introgression or hybridization with rubicundulum. 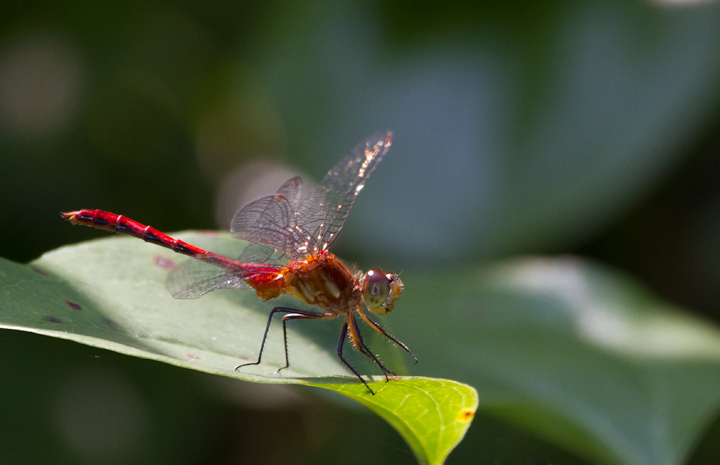 The situation is complex, and has not been resolved (Paulson, 2011). 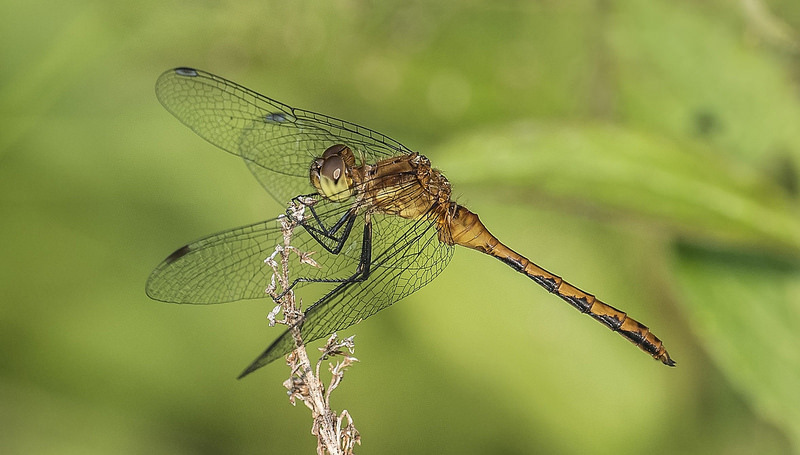 This species is found across most of Maryland, but is absent from the southernmost western shore, and much of the eastern shore coastal plain (Richard Orr's The Dragonflies and Damselflies of Maryland and the District of Columbia). 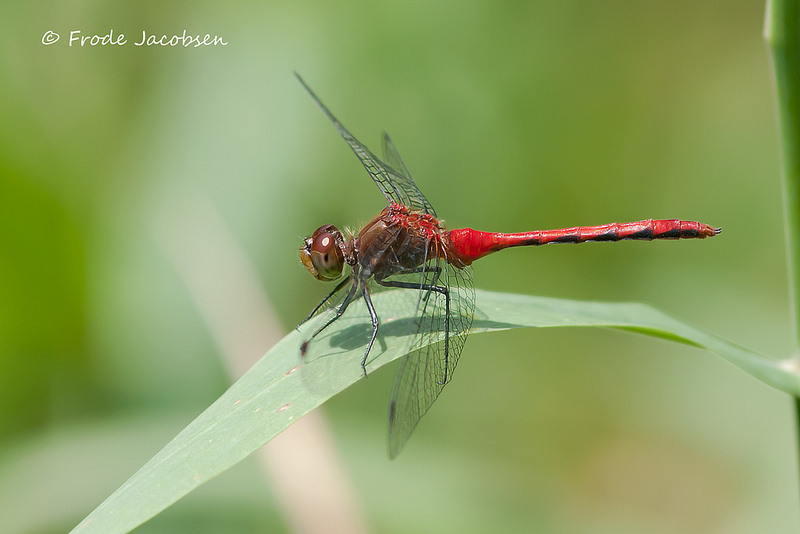 There are 284 records in the project database.